First of all, you may be thinking “why lemons”? For all their sourness, they can add a pretty sweet boost to your daily intake of vitamins and minerals. With more potassium than apples of grapes, lemons are packed full of Vitamin C, B-Complex vitamins, Calcium, Iron, Magnesium and fiber. For best results, dilute lemon juice with water, drink 15-30 minutes before breakfast, and reap the lemon water benefits. Drinking lemon water daily could reduce the uric acid in your system, which is one of the main causes of inflammation. 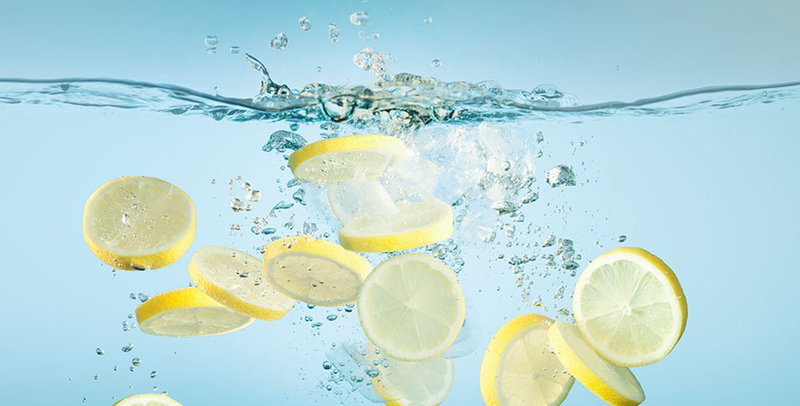 Lemon water could loosen the toxins in your digestive tract, which helps to relieve heartburn, gas and bloating. Lemon’s pectin fiber can help you to fight hunger cravings. By detoxifying the blood, lemon juice helps the skin to retain its radiance, and keeps it blemish free. That Vitamin C in lemon water could help you to stay healthy during especially stressful days since experts say that Vitamin C is the first thing to plummet when the body is under stress. Try replacing lemon water with your morning cup of coffee. The switch comes with a refreshing taste and energy boost and cuts out the afternoon caffeine crash.